In October, the U.S. Senate passed the FAA Re-Authorization Act and sent it to the President for signing into law. 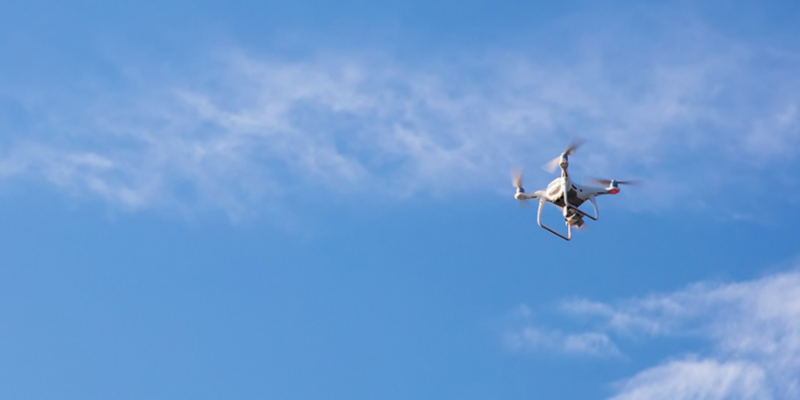 Among other things, the Act tackles many of the issues produced by the meteoric rise in popularity and numbers of Unmanned Aerial Systems (UAS) for recreational and commercial use. Included in the Act was “The Preventing Emerging Threats Act of 2018”, which addresses the threat of malicious drones being used to commit terrorist acts in the United States. This language authorizes the Department of Justice and the Department of Homeland Security to assign their respective personnel to protect “covered assets” from these attacks. Specifically these government entities are now authorized to detect, track, identify and mitigate c-UAS systems that pose a credible threat. Physical means can be utilized (the UAV can be shot down), or Electronic Counter Measures (ECM) can be employed to either take over control or divert the UAS from its mission. The Federal Communications Commission liberally defines this activity as “jamming” which is illegal under the Communications Act of 1934. The conflict remains unresolved, but given the current environment it is unlikely that the FCC will put a lot of effort into contesting it. Similarly, The Federal Aviation Administration enforces laws that make it illegal to shoot down ANY aircraft on U.S. soil, and this also remains unresolved. DHS and DOJ are authorized to research and evaluate counter-UAS (c-UAS) systems that can be used effectively for the stated purpose. Even with the benefit of DoD’s experience overseas in combat zones, given the need to reduce or eliminate collateral damage and respect privacy it may be years before any c-UAS systems can be effectively fielded domestically. Only DHS or DOJ personnel are permitted to operate c-UAS equipment under the Act at “covered facilities”, which can include “mass gatherings limited to a specifies time and location”. No definition of mass gathering is provided by reference or otherwise. If a reasonable number is 10,000+ spectators, players and staff, then many high school football games played throughout the country in the Fall would meet this criteria. Add in college sports and professional events (which regularly draw over 100,000), many air shows and similar, and the number of events is far in excess of what DHS and DOJ could be expected to cover with federal personnel, even assuming a massive expansion in headcount specifically for this purpose. “Credible Threat” is not defined by the Act by reference or otherwise. Presumably this is informed by a UAV’s behavior and lack of response to warnings. Barring significant advances in artificial intelligence, credible threat may be a judgement call by the Incident Commander on the scene. The subsequent Rules of Engagement can be very complex, and need definition. The question of liability comes into play if the c-UAS method employed actually takes control of the UAV, so that it is then being operated by federal personnel. If the UAV crashes or otherwise causes damage under such control, who is responsible? This is a substantive legal issues the DOJ needs to address. The truth is, the Emerging Threats Act sounded good and made for a lot of great press, but the reality of its implementation and deployment to the field may require years of dedicated work. Even then, trying to provide protection with a limited number of personnel is a lose-lose scenario, the Opposition will simply pick an unprotected venue. DOJ/DHS can combat this by not publishing which venues will be covered when, but there will eventually be a breach. What is clear is that the problem cannot be solved with thinking about it at the scope we are at now. This needs to be addressed from a higher level, which may materially alter our approach to protecting the nation.